The casual dining scene in Singapore is almost as vibrant as the cafes with cuisines ranging from Thai to Korean. 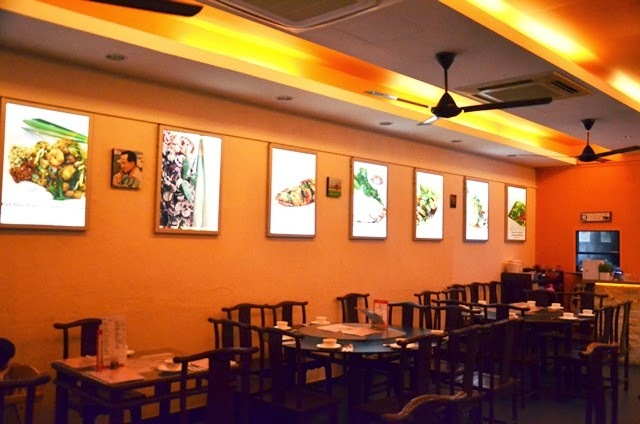 When diners like you and me are overwhelmed by the abundance of restaurants out there, it is honestly not easy to spot a rare gem anymore as most places succumb to shortcuts and compromise on serving the most authentic meal. 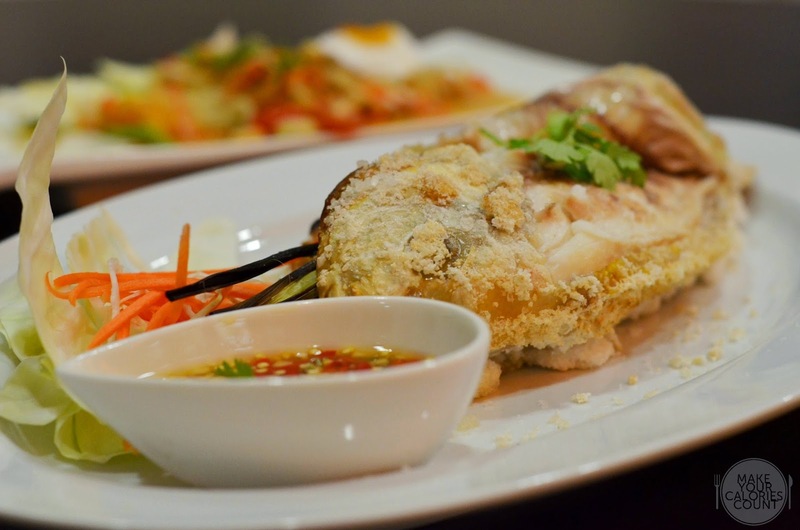 With much scepticism, we made our way down to this Thai bistro located on Joo Chiat Road. With no lack of famous eateries lined along Joo Chiat Road and the nearby East Coast Road, can this modest looking place serve a Thai cuisine that would make our calories worthy? It was truly inspiring when I met the chef-owner Joel Ong, a home-grown Singaporean who took an unconventional route from most peers. Previously a student at NUS, he left school to become a musician and subsequently went on to pick up professional culinary skills at At-Sunrice GlobalChef Academy. Having cooked at home from young, Joel was highly interested in Thai culture and travelled frequently to various parts of Thailand to learn more about the cuisine. With two Thai chefs from Chonburi, they used to serve authentic Thai food at 5* hotel, Amari Orchid Pattaya. 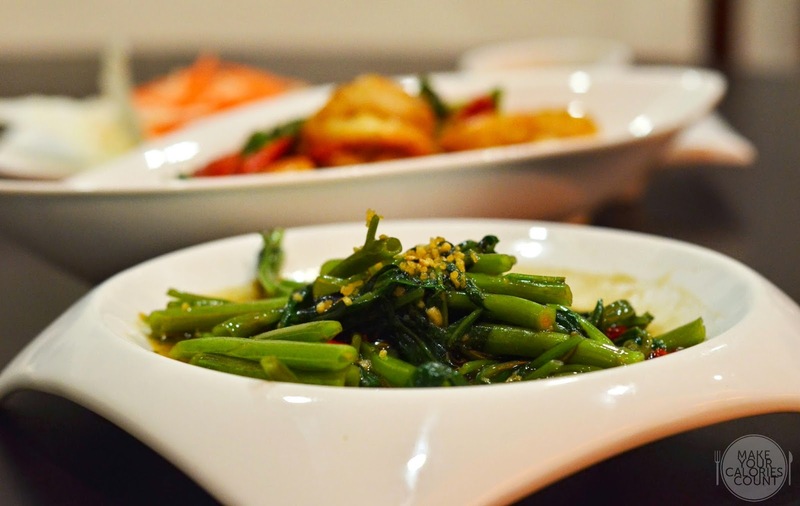 While the common Thai street food are available on their menu, Rochor Thai endeavours to serve quality restaurant food as the chefs make their sauces, spice pastes and base stocks from scratch with no reliance on MSG. 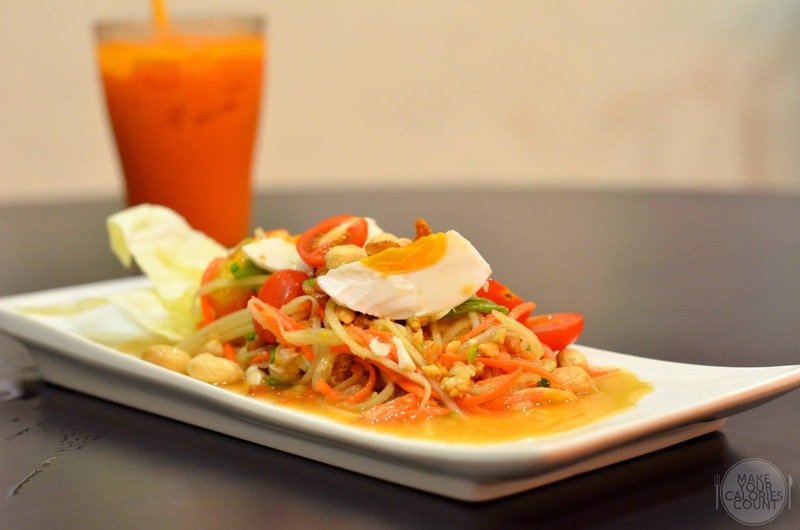 A classic appetiser, this papaya salad had the usual green papaya, carrots, long beans, garlic, chillies, dried shrimps and peanuts freshly pounded and blended with their in-house special tamarind sauce. What made it a touch more special was the sliced salted duck egg which added another dimension to the dish. In terms of flavours, it helped to provide the salinity balance to the tartness of the green papaya and the spice of the chillies before coming to a harmony with the sweetness and acidity from the tamarind sauce. Available in two sizes, the larger portion is available at S$15.80, however this was more than enough to warm the stomachs of us three. With mild sweetness to tease our palate upon the first taste, the acidity grew with the sourness before the heat from the fiery red chillies took over. 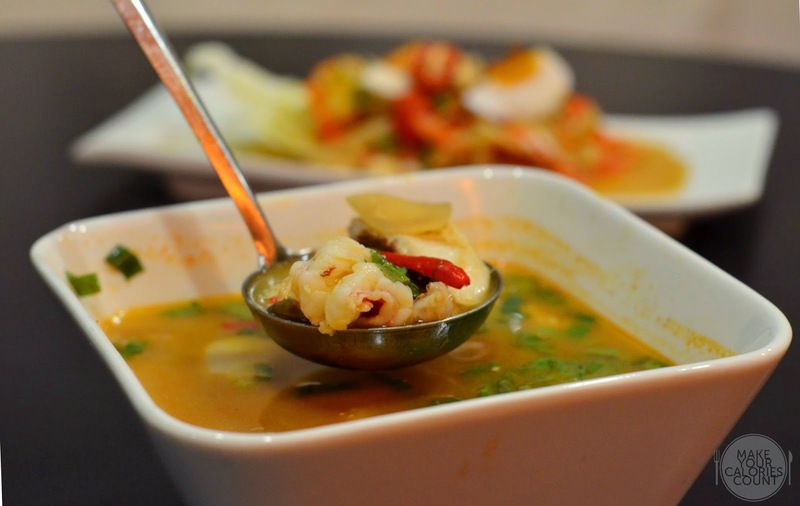 The portion was satisfying with succulent prawns, flower-cut squids and generous slices of fish fillet in the broth. A huge fan of grilled pork collar, I have struggled to find a place where I can go to in Singapore for this comfort food. My best experience with this delicate piece of protein was at nahm in Bangkok where cooking was executed to perfection. Grilled upon order, the pork collar retained moisture and tasted succulent as you bite into the juiciness of the melted fats. I loved the nice coating layer of crispness which was beautifully complemented by the heat from the chilli flakes, sourness from the tamarind, savouriness from the fish sauce, shallots and little palm sugar to enhance the flavours of the grill. One of the signature dishes at Rochor Thai, it had an interesting story where a drunkard actually ate this flavourful dish that and woke up! What titillated my palate for this was the fragrance from the hot basil leaves and the red chillies. The portion size was surely generous but for most diners who would be more used to the crunch of your prawns, expect the texture to be tender soft. 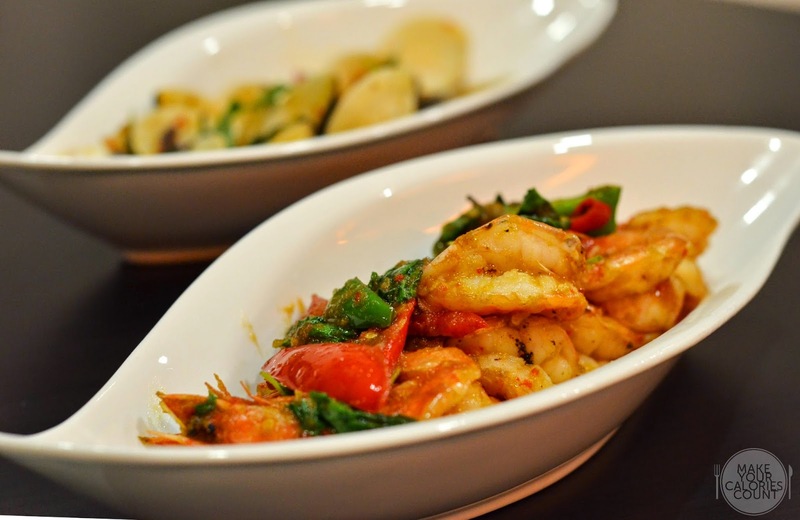 This might be due to it being slightly overcooked but on the positives, the prawns were thoughtfully deveined and deshelling was certainly made easy for diners. Of the three types of basil, the chefs cleverly introduced a second type of basil, Thai sweet basil in this dish. Drawing resemblance from the usual tzechar stir-fry of the clams, the beautiful fragrance from the Thai sweet basil whetted my appetite. Be sure to scoop some of the lovely stock to go with the carefully cleaned clams as it adds a balanced flavour of savouriness and sweetness with a subtle hint of heat. This had to be the dish of the evening with the chefs' brilliant use of technique to elevate the freshness of the fish. 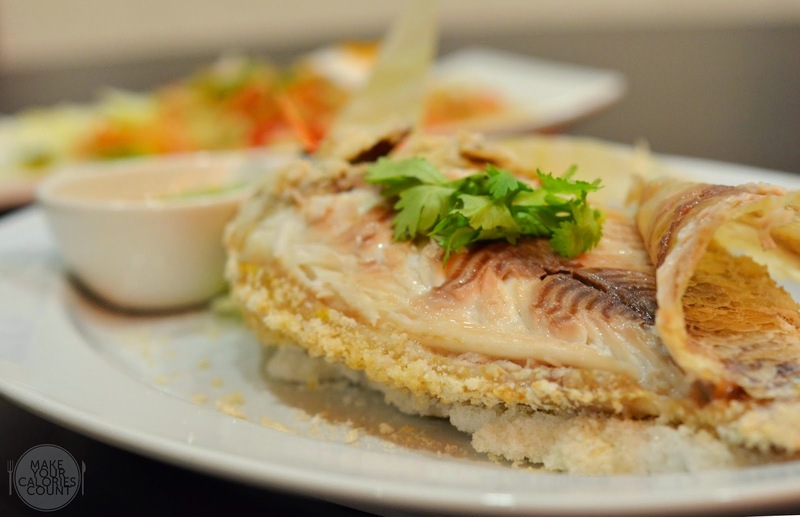 Quite frankly, I was surprised that a Thai bistro would implement the salt-baked technique which helped lock in the moisture to the flesh, resulting in a melt-in-your-mouth tenderness. Personally, I also find that fish should be cooked on-the-bone to derive the best flavours so this dish was really the star of the evening. A generous amount of lemongrass was also stuffed into the fish supposedly to help enhance the fragrance but I thought it failed to shine through. Nonetheless, the dipping sauce helped to add some salinity to the already tasty protein. More commonly know as kangkong, this stir-fry introduced some greens to complete a hearty meal. With fermented bean paste and chillies, the dish had sufficient wok-hei yet allowing the stems to retain their crunch. There was a strong coconut fragrance in the sticky rice and served warm, it was truly some sweet calories to sum up a sumptuous Thai meal. 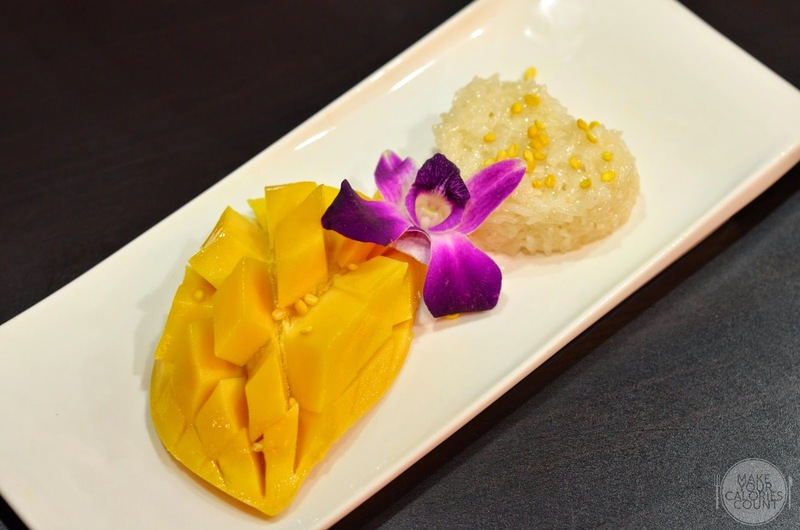 The mung beans atop the thoughtfully designed heart-shaped sticky rice added a layer of texture with a nice crunch. 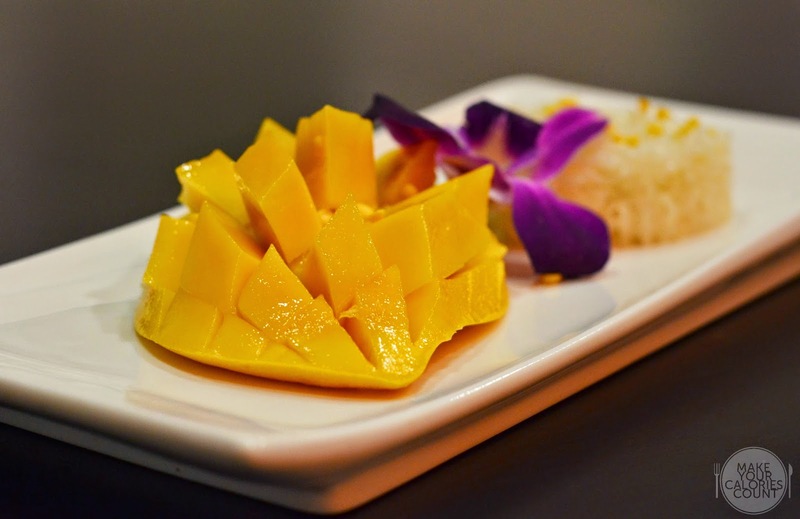 The sweet Thai mango was also spot-on, overall a simple dish done well. 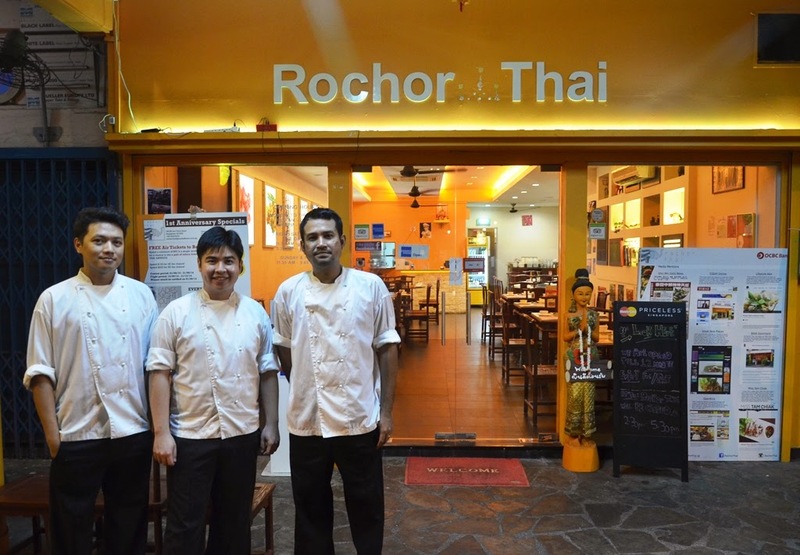 Offering a casual dining ambience, Rochor Thai offers honest cooking at very affordable prices. What really impressed me was dedication and quality of food served at this modest looking restaurant. 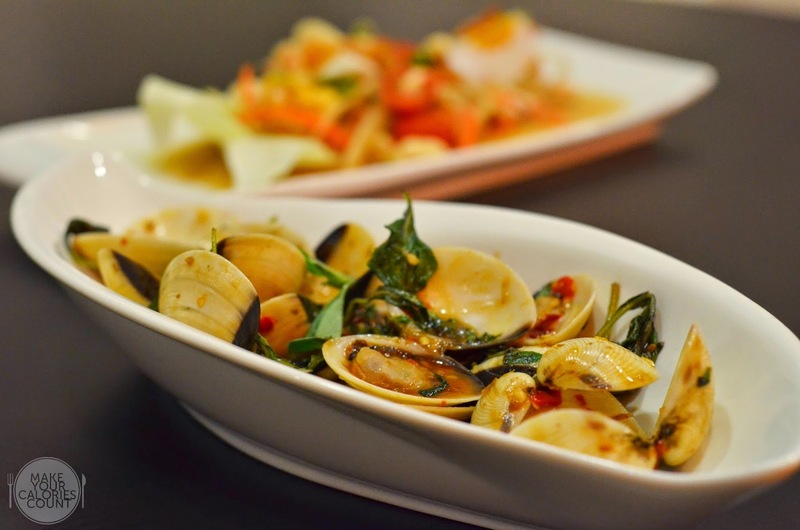 If you know your Thai food, expect to enjoy a satisfying dish. That being said, we did not go for the usual street food such as Pad Thai or green curry but who needs those when you can enjoy perfectly grilled pork collar and salt-baked fish? It was simply amazing to watch Joel in action as the chef took efforts to step out from the busy kitchen to speak to his customers and obtain their feedback. The serving crew on the floor were also fetching feedbacks and checking with the customers on their meals from time to time. While most would regard such dedicated customer service as a given, how often was your last meal at a bistro or restaurant that you received such attention? We later also learnt that an interesting way of enjoying the dishes would be to order sticky rice instead of the usual fragrant Jasmine rice as the Northeastern Thais' way of enjoying their savoury dishes were to first enjoy the meat or fish followed by the sticky rice dipped in the accompanying sauce. If you ever need recommendations on what dishes to order, be sure to check with the staffs and they would be more than pleased to offer you some useful advice to suit your palate. As Rochor Thai celebrates their 1st year anniversary in August 2014, they will be giving away a pair of return tickets to Bangkok on Thai Airways! Simply spend a minimum of S$50 in a single receipt for a chance and triple your odds by spending in excess of S$100! 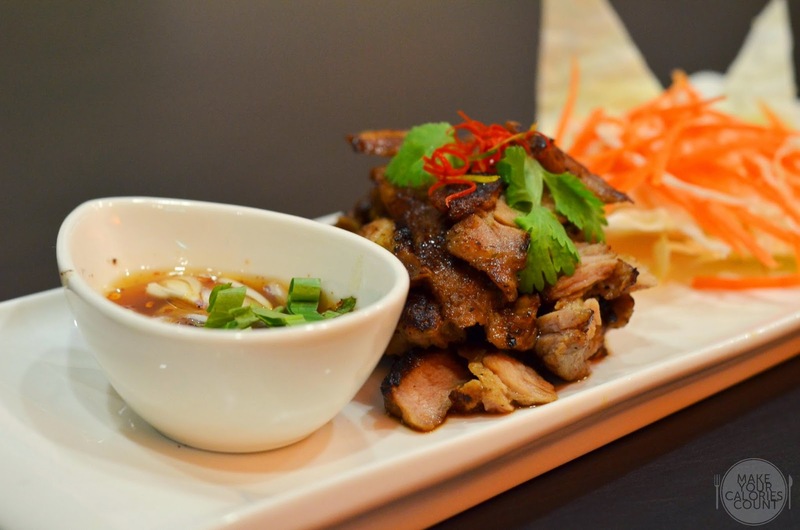 For all single receipts in excess of S$200, Rochor Thai is offering 8x winning chances! Other ongoing promotions include "Ladies Night Out" where a minimum of four ladies dining on every Wednesday receive 50% off their bill! P.S: Special thanks to Joel and Rochor Thai for the invite and the tasting session.